William Shaw – Page 2 – Politics, Theatre, Sci-fi…Mainly Sci-fi. This article first appeared in The Oxford Student on 2 June 2017. It was my last ever piece for the paper, and I hope I managed to end on a high note. It has been said that memes are inherently communist. Anarchic, decentralised, and divorced from the profit motive, the argument goes that they are therefore inherently suited to left-wing viewpoints. But this argument, while tempting, is not entirely satisfactory. Aside from the fact that plenty of memes have been commercially appropriated, the prominence of memes as an alt-right aesthetic cannot be simply ignored. It’s hard to call anything ‘communist’ when white supremacists are tossing it around alongside the word ‘magic’, but the equal prominence of avowedly socialist memes suggests a certain ideological flexibility. How, then, are we to understand the apparent political confusion of memes? The tag yourself meme, first seen on Tumblr in 2016, may provide a clue to this political ambiguity. The format is simple enough: a collection of thumbnail images on a white background, each accompanied with a name (misspelled for comic effect), and three or four brief descriptive phrases denoted by dashes. This last point is crucial; the typography of tag yourself memes, in opting for a dash over the more traditional bullet point, centres on soft power, further reinforced by a preference for n-dashes over lengthier, and thus more impactful, m-dashes. When one of these images is shared, with the accompanying phrase, ‘tag yourself, I’m ____’, the sharer creates an informal solidarity, a non-judgemental space in which the reader is able to choose an identity. Moreover, the format is flexible enough to allow identification with a wide variety of tropes, images, and figures. To tag oneself is to escape the self, to become more than human, or at least not only human. 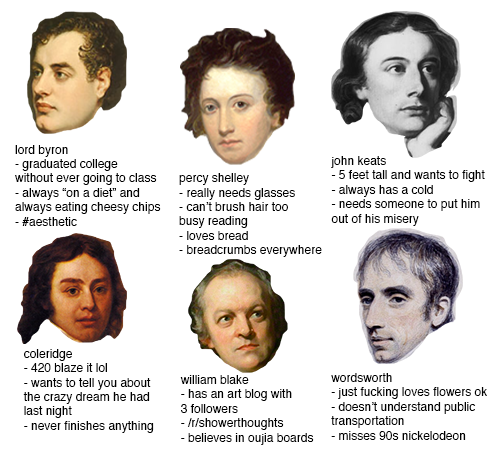 Personal favourites include the classic Dat Boi (I’m ‘it’s him’), and the equally classic Romanticism tag yourself (I’m William Blake). But whatever the specific theme, this à la carte empathy forms the aesthetic core of the tag yourself meme. This memetic ideology is broadly encouraging. If we understand politics as driven by identity, tag yourself’s flexibility and accommodation of diverse types implies an acceptance, even a championing of, diversity. To gain likes and shares, the tag yourself meme must include different types of content, relatable to different types of people. This aesthetic of empathy, in which memers both conceptualise, and express themselves, as multiple bodies else, has obvious potential for progressivism. The snag, however, is the word ‘memetic’. While the form ostensibly encourages diversity, the pithiness of the tag yourself meme can also serve to directly enact stereotypes. 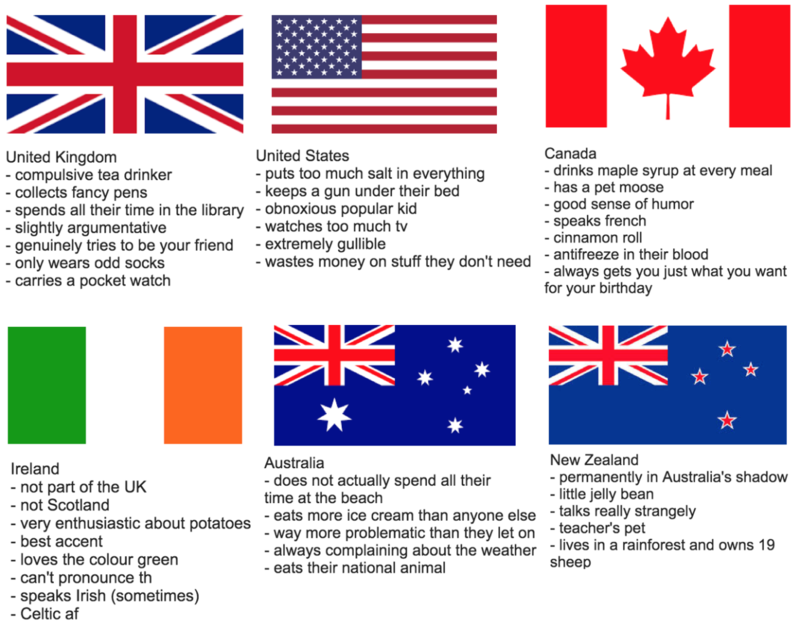 Language O’Clock’s world flags tag yourself, for example, describes Ireland as “very enthusiastic about potatoes”, while Great Britain is both “compulsive tea drinker” and “carries a pocketwatch”. This adds a reactionary sense of imperialist nostalgia, the opposite of social progress, yet an attitude actively encouraged by the tag yourself format. The tag yourself meme, then, is a form which ostensibly encourages diversity, while practically enacting crass simplifications of individual identities. The other is vicariously experienced, but never in a state equal to the self. Tag Yourself: I’m Liberalism.